1. Xikar makes great cutters. Period. – If you are like me, you have seen a variety of neat looking cutters that just come up short (no pun intended) when it comes to the actual cutting portion. 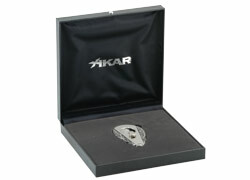 I have yet to have a Xikar cutter fail in the cutting department. 2. 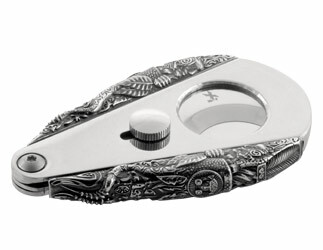 The 3D Mayan cigar cutter is a work of art – before you ever start cutting. Half cutter, half sculpture. Even the weight of it is noticeably heavier than the average cutter. 3. So far, knock on wood, I have not run into another one. It is a real attention getter – so much so you might want to consider keeping it on a chain. We have seen these as high at $250 retail. I picked mine off Amazon for $179.00. 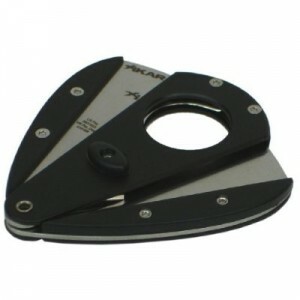 Although somewhat pricey for the average recreational cigar smoker, it just may be the last cutter you ever buy. It comes in a gift box with a certificate to redeem a free Sting-Ray cutter sheath. Not sure how long you can grab them for the same price I did…so good luck.